The most common cysts are sebaceous cysts, which are benign cysts that appear just under the skin. Cysts can sometimes cause pain or discomfort, or may often be painless but cause you to feel self conscious about their appearance. Skin Tags are similar, but are often caused by the skin rubbing in areas where clothes are tight or movement is restricted. Cyst removal or skin tag removal can give your self esteem a boost. Unless you deal with cysts or skin tags then the problem may escalate as cysts can continue to grow further. Not only can it cause major discomfort, but it could unnecessarily affect you psychologically, impacting your daily routines. Having your skin tags or cysts removed is a permanent solution that can be performed quickly and relatively pain-free. Once you have your treatment you’ll be able to resume your normal daily activities right away – the treatment is associated with zero downtime. 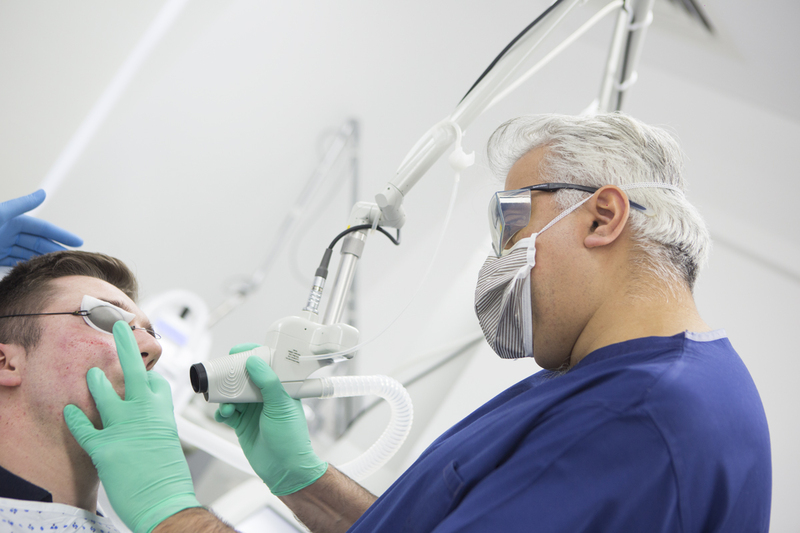 A local anaesthetic is usually applied in order to make the treatment a more comfortable experience for you. 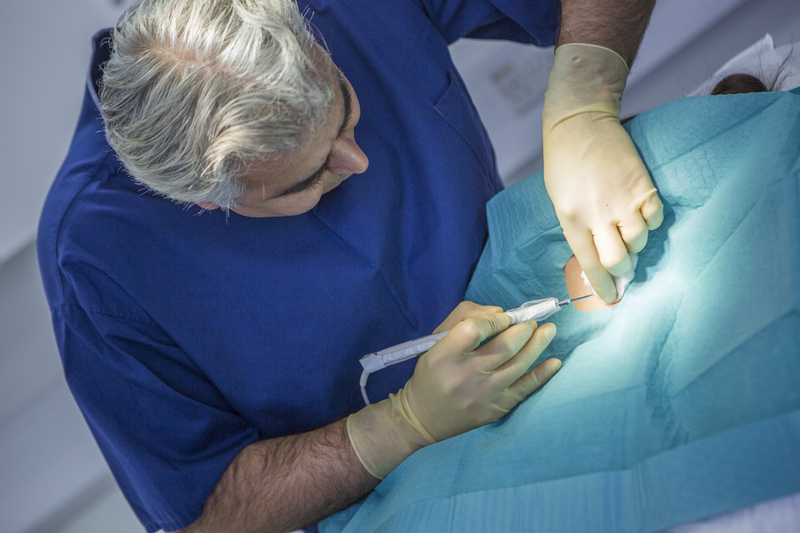 The treatment is minimally-invasive meaning only a scalpel is required to remove the cyst. Often, skin tags can be removed by being frozen. There are many different types of skin tags and cysts that exist, which is why it’s important to book a consultation with Dr Firas Al-Niaimi who has a wealth of knowledge and experience in this area. He will be able to prescribe the appropriate route of action in order to deal with your problem and leave you looking and feeling your best. Procedures to deal with both cysts and skin tags are minimally-invasive which means you’ll be able to resume your daily activities right away. If you’re in a physical job then you might have to wait a few days for the area to heal – this all depends on the area of the cyst/skin tag and how extensive it is. What causes a cyst or skin tag? Sebaceous cysts can be caused by a wide range of reasons, but they are usually benign. Cysts can be variable in origin, but usually occur under the surface of the skin and are filled with yellowish-white, semi-solid, fatty materials. Skin tags are also often a problem for many individuals and can be removed easily. Skin tags are caused by skin rubbing in areas where clothes are tight and can restrict your movement. What is the treatment for a cyst or skin tag? Sebaceous cyst removal and skin tag removal are both minimally invasive procedures which can be performed under local anaesthetic. The treatment is painless and will involve complete removal of the lesion. Never attempt to remove a cyst or skin tag yourself; this is very dangerous and will cause complications. Cyst or skin tag removal treatments are day procedures, and will take no more than an hour. What can I expect from cyst removal? 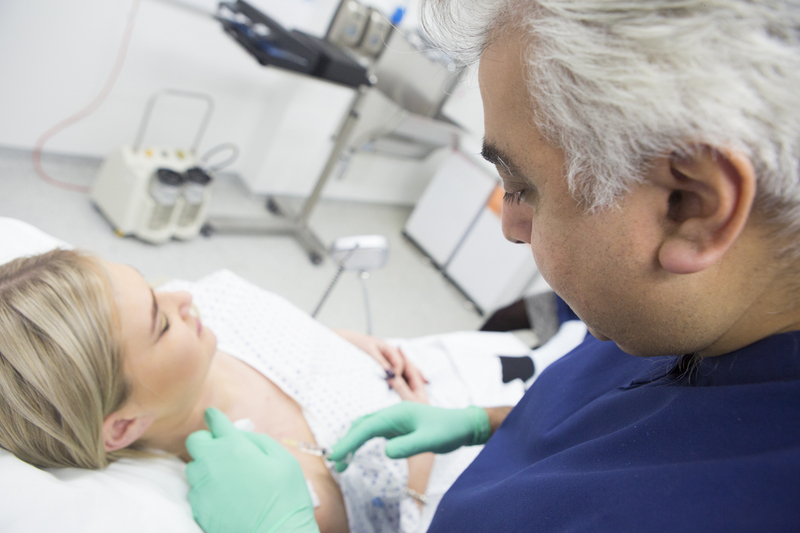 Cyst removal is painless as you will be treated with local anaesthetic before the procedure. The procedure will involve Dr Firas Al-Niaimi removing the cyst or skin tag with a scalpel. Skin tag removal is even less invasive and may involve freezing the lesion off without a scalpel. Book your consultation now to see what type of treatment is right for your cyst or skin tag. As cyst removal or skin tag removal are both minimally invasive procedures; you will be able to return to work immediately, and return to physical activity within a few days to one week.